We consider our beautiful new campus to be a crucial building block as we begin to evolve from a school of state-level distinction to one that is nationally acclaimed. In our quest to provide the highest level of education to our students, we continue to brainstorm ways to make your child’s experience unforgettable, believing that with your support, all things are possible to help make today’s students tomorrow’s leaders. 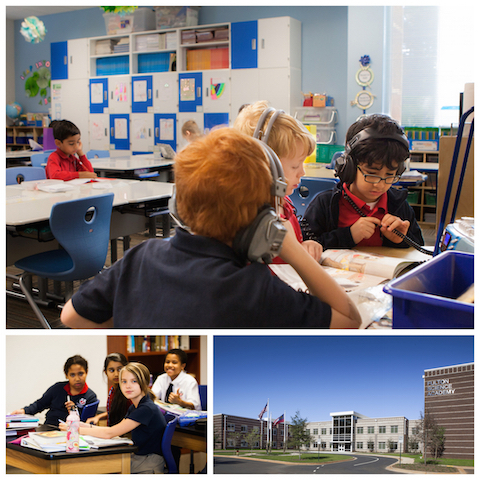 Our nonprofit designation enables us to provide an affordable, top-quality private school to students who embrace the “STEAM” model within the state of Georgia. And, while our tuition supports the basic needs of our school’s day-to-day operations, we simply must rely upon an annual giving campaign to raise crucial funds that will support other aspects of our school. Funds raised through our annual campaign can be designated to support projects including after-school programs, academic teams, school technology, facility needs, or arts and athletics programs. The success or failure of our annual giving campaign will center on the level of involvement of our families. As such, we kindly request that you please give as much as you can afford to help us help our students. We have two different ways of giving at FSA. These include a Brick Campaign and our Inaugural Annual Giving Campaign. In the coming months, we will begin to formulate donor recognition activities, including the installation of a donor recognition wall within our school. Currently, we have established the following giving societies. Dozens of companies show their support of independent schools by matching, dollar-for-dollar (or more), the gifts that their employees make to schools such as Fulton Science Academy. Please CLICK HERE to learn more about Matching Gift Program. Thank you for making FSA a great school for our precious students.